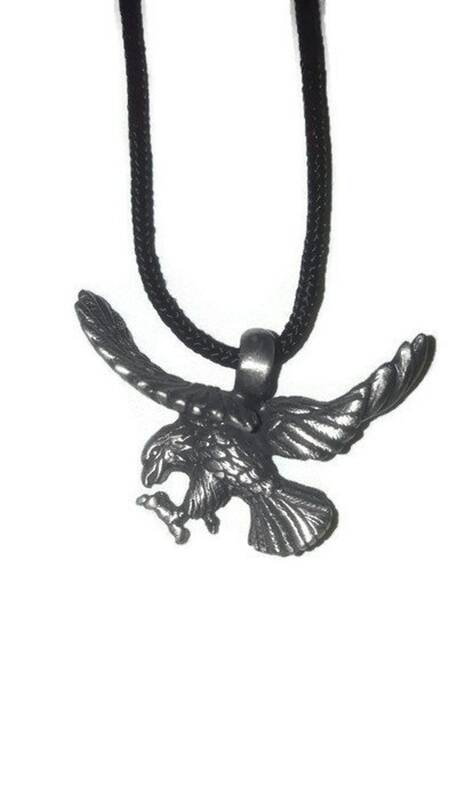 3 dimensional flying eagle antiqued pewter (tin-based alloy). Looking for something to get the nature lover? This beautiful eagle symbolic of freedom and soaring the skies is a treasure to beloved and enjoyed for years. Adjustable cord so you don't have to worry if it will fit. 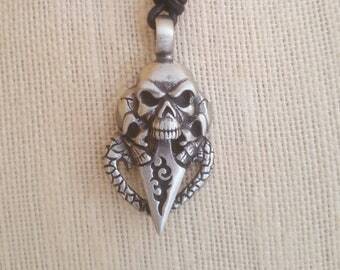 The necklace can be worn as a chocker or longer having the add benefit of being fashionable with any outfit. On cord of your choice. Depth varies, a little under 1/2 inch. Price includes $3.75 non refundable Shipping expenses.